Disclaimer:- This post contains Affiliate links, which means I may receive a small commission, at no cost of you, if you purchase through a link. Your Shopify success is all about your Marketing skills. If you are a good marketer, getting success with Shopify is never going to be that tough for you. Majority of the Shopify store owners thinks that making use of Facebook ads and Instagram influencers are the only two methods of marketing a Shopify store. But If we dig deep into things, we notice that there are a lot of other profitable ways and techniques which can be followed to market a Shopify store and drive some quality traffic and sales. Search Engine Optimization, Facebook paid pinned posts, making proper use of tools like Tailwind, Giveaways and Freebies etc. are some of those methods which you can use to market your Shopify store and get more sales. Though some of the methods (especially Search Engine Optimization also abbreviated as SEO) are time-consuming but if you are planning to do run your store for a long time doing proper SEO should always be a priority for you. In this article, we will discuss 9 Top ways through which you can Skyrocket your Sales at Shopify and market a Shopify store. This list includes both free and paid methods of marketing the Shopify store. So Now as we have seen this infographic about the Top 9 Methods to marketing a Shopify store its time to dive into little bit more details and discuss all these methods one by one. #1 Facebook pinned posts: Back in the time when Facebook groups were not introduced there were a lot of active discussion forums where people used to spend a lot of time discussing things. Once Facebook groups got introduced, these forums lost their charm. Currently, there are a lot of active Facebook groups in mostly all niches. Otherwise, Today we are not going to discuss The Growth of Facebook groups. Instead, we will limit our discussion on the Topic How we can use these Facebook groups to market our Shopify store. Actually, Facebook officially does not provides any method to the group admins to make money and monetize the groups. But a majority of Facebook group admins always keep looking for methods to make some bucks because managing a Facebook group and moderating is a time-consuming thing. In order to market a Shopify store, all you can do is contact such group Admins who have groups with good audience base and ask them to promote your products by writing a post and pinning it at the Top of the group for a week or two. You can pay them some money for this in return. Usually, groups with 100K members charge some price of 10-15$ for a pinned post for 1-2 weeks. Hence, If you find a good active group which has an active audience from your target country, you should surely spend some bucks on this marketing technique. #2 Facebook ads: Making use of Facebook ads to promote a Shopify store is also a common practice of marketing. We always suggest you should make a video ad and promote it instead of a text ad because video content has better reach than the text ads. If you do not possess that great video creation skills, you should always consider hiring a freelancer at Fiverr. You will easily get someone to do the job for you in just 5-10 bucks. If you are first time starting with Facebook ads, either you can hire a digital marketer for running Facebook ads for you or you can first learn about Facebook ads yourself from the web and then run the ads. #3 Pinterest Marketing: Pinterest can really be a great source of traffic for your Shopify store. You do not need to spend money on Pinterest ads to get traffic from Pinterest. Neither you need an account with thousands of followers to start getting traffic. All you need to do is find boards in your niche which has some good followers and then ask the board admin to add you as a contributor to their board. There are a lot of boards which accept collaborators this way. For e.g If your niche is lifestyle, you can easily find list of Boards in lifestyle niche which accepts contributors. Once, you got added yourself as a contributor to some top boards of your niche, you can start pinning in these boards and start directing traffic to your store. Pinterest can be a great source of Traffic this way and you do not need to spend a single penny for this. Tailwind is one must to use tool while doing Marketing on Pinterest and Instagram. We will talk about this tool in complete details a bit later. #4 Instagram Influencers: Making use of Instagram influencers is a pretty common practice among Shopify store owners these days. All they do is find some top Instagram accounts with a good number of followers and contact them for a promotional post. Finding niche specific Instagram influencers with the genuine following is one of the most crucial thing. There are services like Publicfast which can help you connect with some good quality influencers and can help you save your time. Apart from finding Instagram Influencers, you can try growing your own Instagram handle. If you think that it can take a lot of time of yours you can follow the Follow/Unfollow trick to get some followers. For example, Let us say you run a store under bodybuilding category. Then the best you can do to grow your Instagram handle is to find popular Instagram handles under bodybuilding niche and follow their followers. When you will follow them, there are great chances that they will check out your profile and some of them will surely follow you back. Hence If you even follow some 1000 people in a week and Let us say you get 30% follow back, then still you can get some 300 followers. If you keep following this trick for some 2-3 months and side by side keep posting some engaging content, you can get a good following and save the cost of Instagram Influencers. Tailwind tool again can play a good role in growing your Instagram following. In the very next point, we will discuss in detail How tailwind can help you market your store on both Pinterest and Instagram. Basically, labelling Tailwind just as an auto scheduler is a misnomer. There are a lot of other quality features like Tailwind tribes which are associated with this tool. Tailwind tribes are pretty similar to Pinterest boards. Anyone can get started with a Tailwind tribe for free and can share his content there. Already thousands of tribes are active there. You can find a tribe from "Find a Tribe" option in your Tailwind account's dashboard. In a tribe there is an option to message the fellow connections and seriously people discuss a lot of things there. Hence, If you are not using Tailwind tribes for marketing your store, you are surely missing something very important. Apart from Tribes, within the Tailwind dashboard you can do a lot of things apart from just scheduling your content. Weekly summary of your performance, profile performance, trending pins, peak days and time and interest heatmaps are some interesting and useful insights which you can get from your Tailwind dashboard and get an edge over your competitors while marketing at Pinterest and Instagram and get more traffic. Tailwind extension is also available for browsers like Google Chrome and it makes your job even easier. Apart from this, they have provided a lot of textual and visual guides including Tailwind mastering guide which makes it easy to use for everyone to get friendly with this tool. #6 Affiliate marketing: Launching an Affiliate program for your store can be a great idea especially if you sell high commission products. Basically, the idea involved in Affiliate marketing is you will launch an Affiliate program for your store. Influencers and Bloggers will join the program and will start promoting your products. For every sale you get from these Influencers, you will share a percentage commission with them. There are a lot of third-party services like Growsumo which can help you launch an Affiliate program. They have a lot of Affiliate and Influencers already registered with them and Hence launching your Affiliate program with them can be heck beneficial. Also, they manage everything from their end. Including tracking of sales to paying commissions everything is managed by them. Hence it's a hassle-free process. There are some apps also which are available at Shopify store which you can use to launch an Affiliate program. But the thing is even if you launch an Affiliate program with them, then after that you will have to spend a lot of hours to approach influencers to join the program. This is the only reason making the use of third party programs like Growsumo which have many influencers already registered with them should be preferred. #7 Search Engine Optimization + Blog Writing: Search Engine Optimization is one of the most useful strategy for marketing of an online business but still majority of Shopify store owners do not pay much attention to it. The major reason behind ignorance of SEO by Shopify store owners is because it cannot work for stores of all Niches. If you sell something pretty common like watches, getting traffic by doing SEO is not going to work for you. But If you have a store where you sell pretty unique things SEO can be beneficial for you. To make SEO easier, its suggested to add a Blog to your Shopify store. You can get traffic at Blogs by doing SEO and later you can convert this same traffic into sales. By the way, SEO is a big industry and if you do not have any knowledge of it, its better to hire a SEO professional instead of doing the job yourself because SEO has negative impacts too if not done properly. BTW, I have recently started selling my SEO services at Fiverr. If you even think of hiring a SEO for your store do not forget to consider me. You can follow this link to know what I do while doing Shopify store SEO and How you can hire me : Hire Blogging Surgeon For Shopify SEO. #8 Youtube: There are a lot of ways you can use Youtube to drive traffic to your store. First of all, you should always upload the video ads you prepare for your Facebook page at a Youtube channel. They can act as a good source of traffic. You can use the same videos for Facebook ads. Along with it, you can do youtube video commenting. For e.g. Suppose your niche is Indoor bikes. Though Indoor bikes are pretty much popular but there is pretty less content about them on Youtube. Hence the videos which are already there get some good views. All you need to do is check comments of these videos daily and interact with people. If any of them ask for any recommendations for buying any Indoor bike, you can refer them to your store. Same technique can be followed if you run a store in any other niche which has not much competition. Hence adding Youtube videos to your marketing strategy is pretty much compulsory these days. #9 Freebies and Giveaways: Everyone loves free things and this is the reason sales, freebies/giveaways and discounts has always been an important component of marketing. One common strategy which is much useful for Shopify store owners is providing free product and charging only for the delivery. Usually this strategy works for products with low price. The Shopify store owners try to compensate the product cost and their profit in the shipping price. You can also do reverse of it also by providing free shipping and charging only the product cost. There are some plugins and features with which you can offer free gifts with some products as well. You can checkout Sales Motivator app available at Shopify for this. Apart from all these marketing techniques, you should keep looking for different methods of marketing your store. We hope you enjoyed reading this content. You can subscribe to us for reading more such awesome write ups. 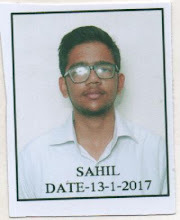 Sahil Sharma aka Blogging Surgeon is a Blogger who writes about Blogging, Online Money Making, Digital Marketing and its related domains like Email Marketing, Search Engine Optimization etc.